I’ve been coming to the Etruscan Coast — the stretch of Tuscan coastline from Livorno to Piombino and all the islands in between — ever since I met Marco, over ten years ago. His grandparents, like so many Tuscans, have had an apartment here since the early 60s, so it was their stomping ground; their childrens’ and their children’s children spot for their annual summer holiday. 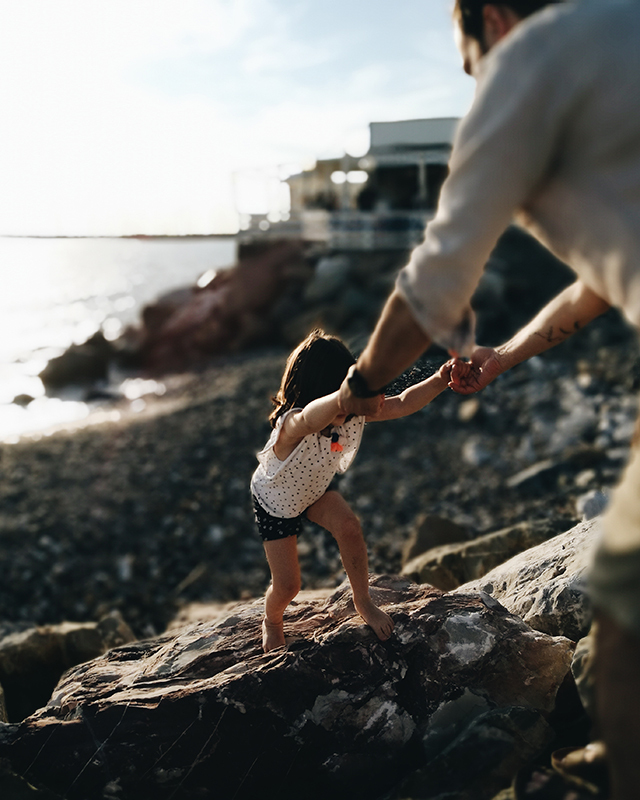 The summer can be busy and crowded, when everyone else has the same idea as you — to escape the heat of the city — but we still love visiting, even for a day or a weekend. And although my absolute favourite time to visit this area is in the off-season (it’s heavenly in May and September or October, for example), the summer is undoubtedly when it’s at its most vibrant — restaurants are all open and markets, food and music festivals abound (in July, don’t miss Livorno’s Effetto Venezia event). I’ve written earlier blog posts about Livorno, the Tuscan coast (specifically, this part, the Etruscan coast, named for its ancient origins as an Etruscan site) and its street food, along with some summer favourites. And for the most part, they are still valid (one closure, sadly). 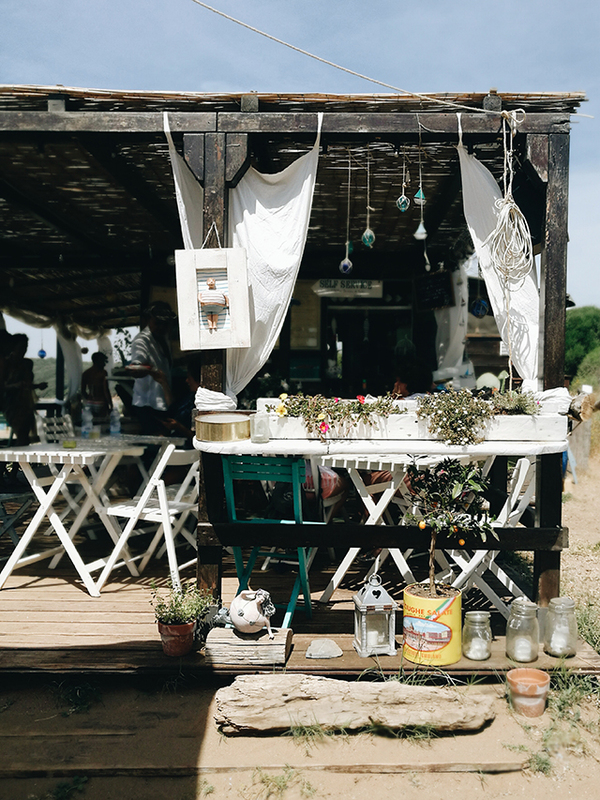 But here’s a little update with some favourite things, including some new, exciting openings, that we would consider an ideal weekend visit to the area — a strip of coast between Livorno and Populonia that I particularly love. 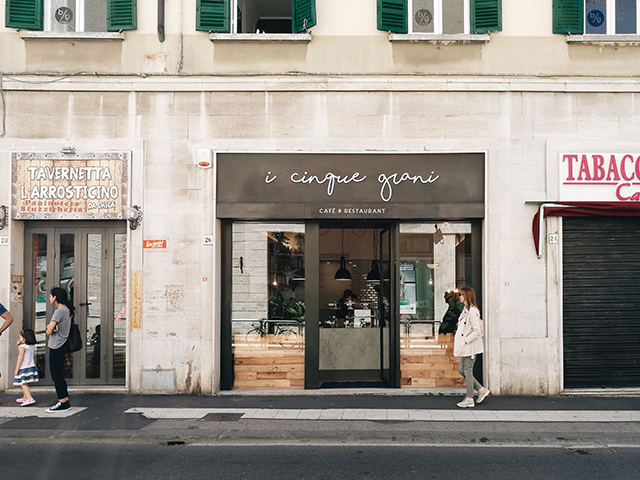 If you’re heading to Livorno, whether passing through to catch a ferry to Sardinia or on your way down the coast, it’s handy to know about this new cafe, I Cinque Grani, a bright, friendly slice of California run by a Californian-Livornese couple. 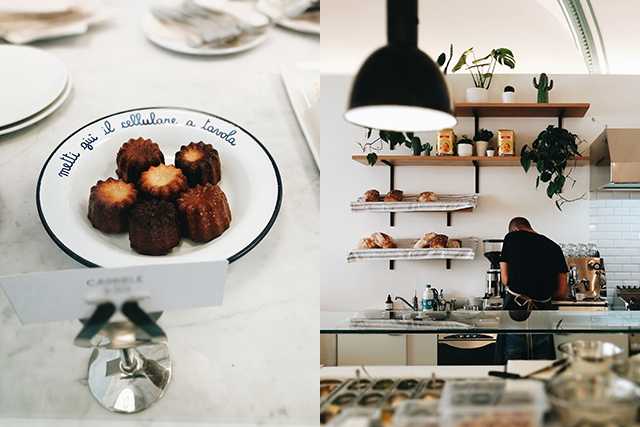 With offerings like fresh juices, housemade sourdough bread and iced green tea, artisan beer and big salads, it’s a refreshing spot that even has a fun kids’ corner (and menu) to keep little ones relaxed and entertained. 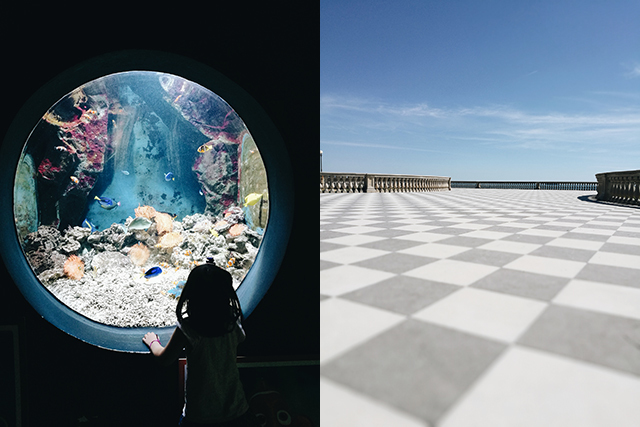 If you’re dragging little children around with you and they are hot and bored, you may like to know about Livorno’s aquarium, which sits next to the picturesque, checkerboard Terrazza Mascagni. 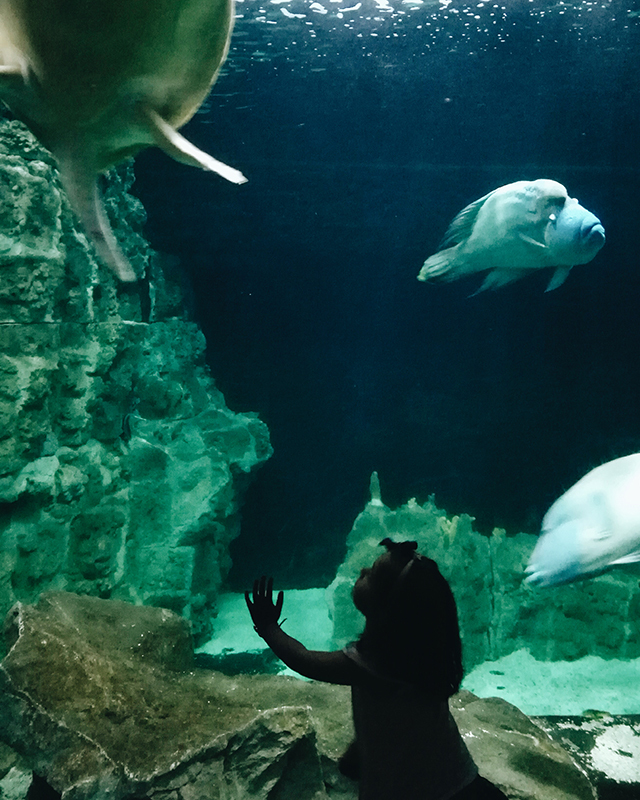 The aquarium is small but the right size for preschoolers and young ones who find it has just the right amount of things to keep them entertained for an hour or so. It’s also cool inside, so a good place for a very hot day when the beach or pool is not an option. I’m told by the lovely folk at I Cinque Grani that the gelateria closest to the aquarium is excellent, too — Gelateria Caprilli (and they’re not the only ones; it’s named one of the top 100 artisan gelaterie in Italy — just note it’s closed on a Tuesday, which is always the day I have tried to go, sadly!). 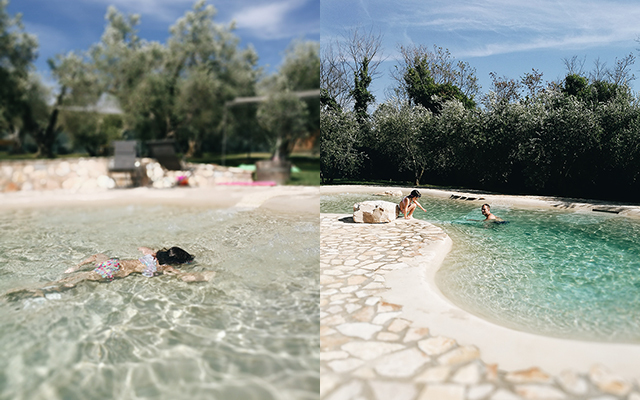 Although we usually stay at the family flat, this time we booked a one-bedroom apartment at Il Bottaccio, which is near Venturina, an hour’s drive south of Livorno, 10 minutes from the seaside and walking distance to Calidario, the Etruscan hot springs, another one of our very favourite places. The huge open air pool (or “lake” as they call it, which is feels very much like) is filled with water constantly rushing down from the natural springs. It is sparklingly clear and always pleasantly warm (34 degrees Celsius) so it’s lovely, especially at night time or cooler days — it is open late. 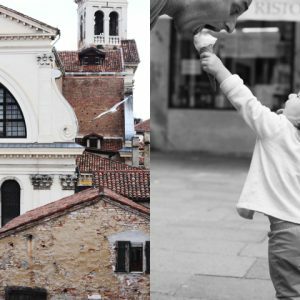 There are no age limits so children can visit. For parents, there is also a spa and massage service. Note, you’ll want to bring flip flops for the shower and your own towel or bathrobe (if you’re self conscious) but you can also rent towels and bathrobes at the ticket office (5 euro and 7 euro respectively). Lockers are also for rent or you can leave your things on a deck chair on the edge of the lake. 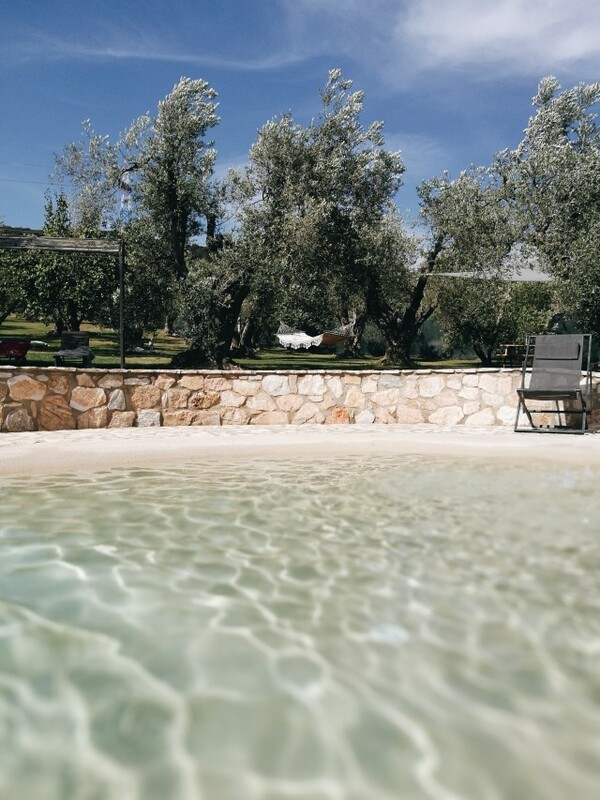 Il Bottaccio was a dream and as soon as we arrived we wished we had booked another night. 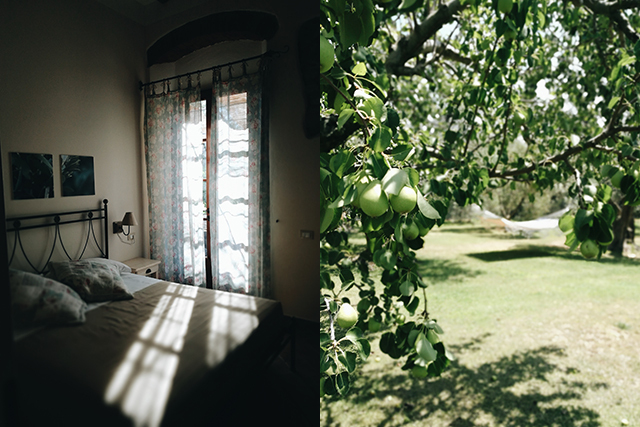 A green oasis, the beautifully kept garden of olive and pear trees is scattered with large, loungy garden pillows where you might find a cat lounging, and under the olive trees there is also a well-placed hammock. The swimming pool, designed like a beach that gradually gets deeper, was our haven on a hot afternoon when even the thought of going to the beach itself was too much. The rooms are simple, tasteful and well-equipped (thank goodness) with air conditioning. 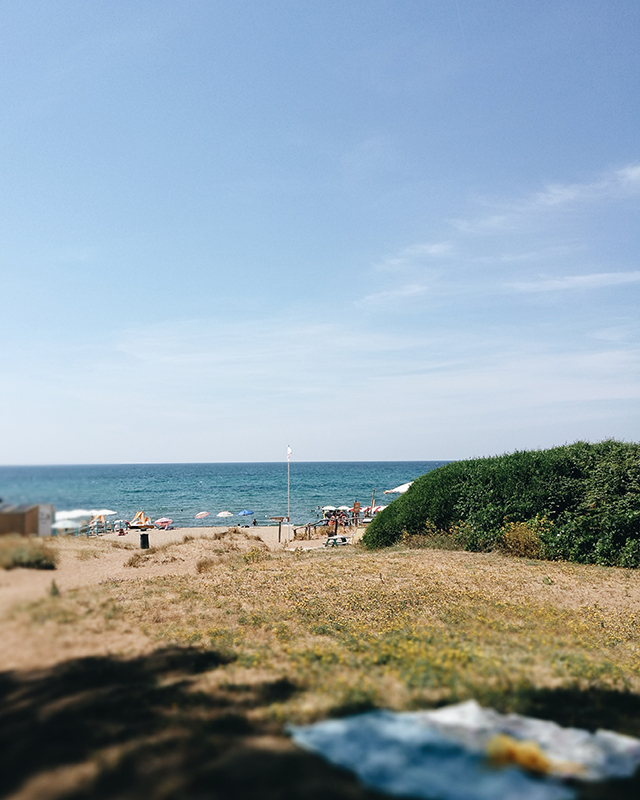 One of the reasons for booking Il Bottaccio was its proximity to my favourite beach Baratti, a lovely, relaxed bay not far from Populonia, a beautiful Etruscan village. 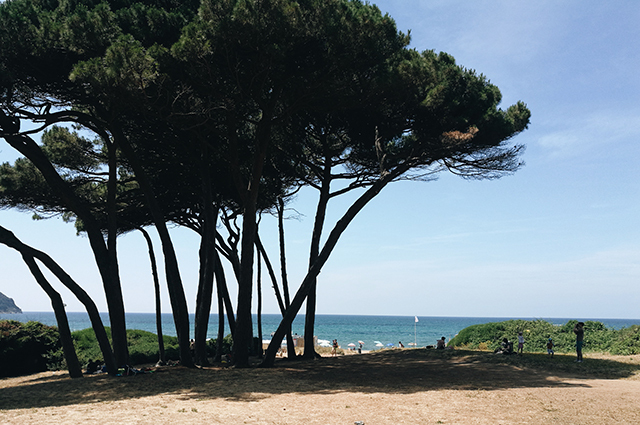 From the car park, you walk through the forest of umbrella pines, which, in the long hot summer days can often be filled with picnicking families who come armed with tables, chairs, tablecloths, the works for long, drawn-out lunches. 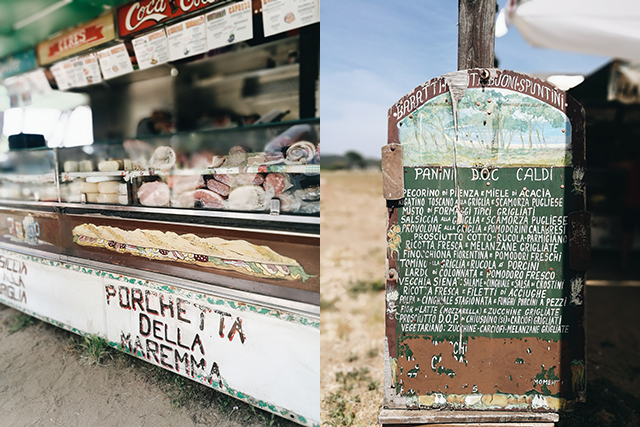 And out in the field as you come out of the pine forest stands the retro panino van, il Casotto di Baratti, which has been serving up generous, warm panini filled with delights such as wild boar mortadella, pecorino pepato and tomato, or prosciutto crudo, Greek yogurt and grilled zucchini for the past ten years. 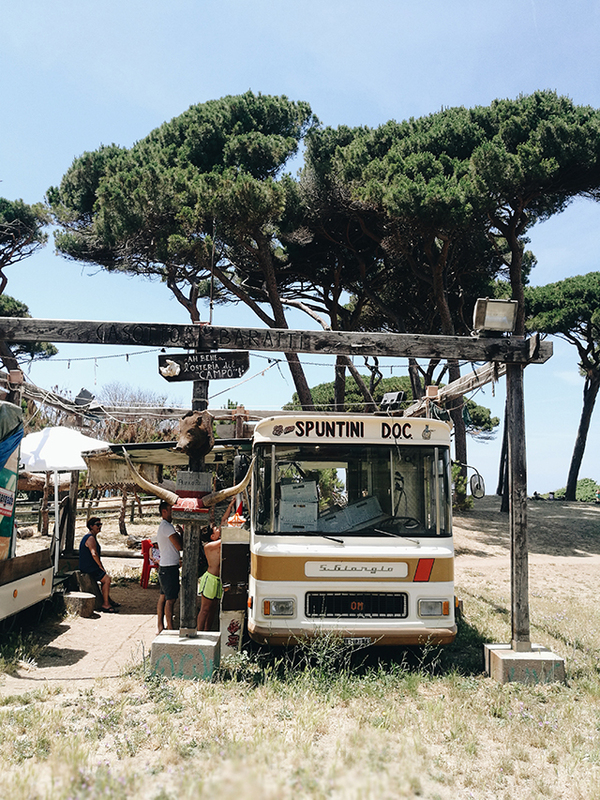 Baratti, unlike so many beaches on the Tuscan coast is mostly a free beach with a just couple of ‘bagni‘, establishments that offer a bar, showers and deck chairs and umbrellas that spread all the way to the water’s edge. 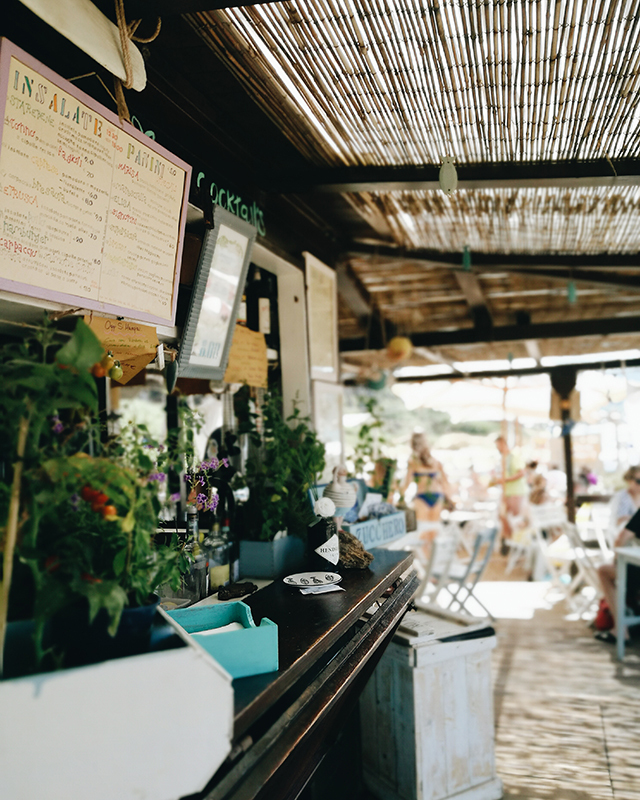 Bagno Baratti, just to the right as you enter the beach via the main pathway, is a stylish wooden beach shack of an otherwise simple bar where you can get ice creams, coffee, panini, salads and cocktails all day — particularly nice in the evening for a spritz. 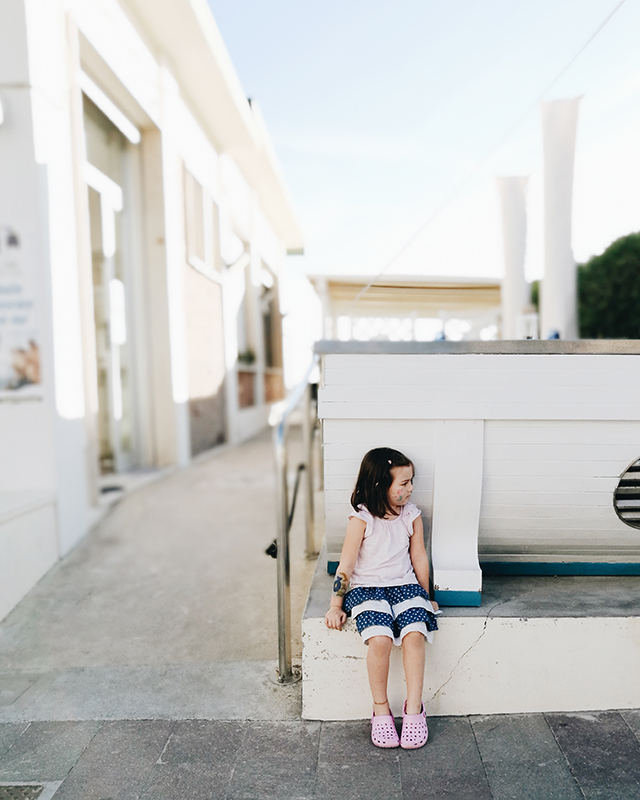 After a long, lazy day at the beach, a 25 minute drive away is San Vincenzo, a beach side town and marina where yachts collects and the train that runs down the length of the coast from Livorno towards Rome conveniently stops. 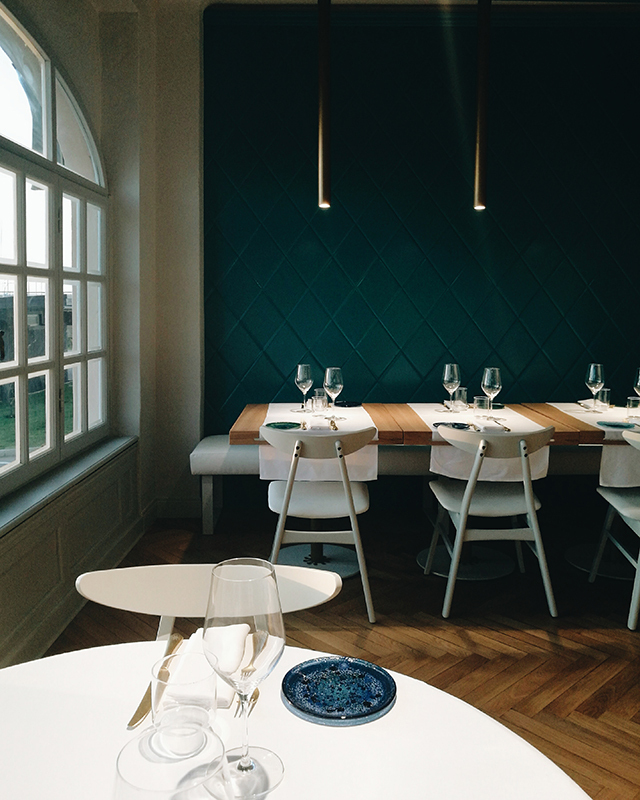 There, in Piazza della Vittoria, you can find newly opened Papaveri e Mare, the seaside sibling of Papaveri e Papere in San Miniato — a long time favourite restaurant of ours from Marco’s hometown. It takes over the historic spot Gambero Rosso, which was run by Fulvio Pierangelini for thirty years and became one of Italy’s most famous restaurants (incidentally, his son, Fulvietto, runs the nearby and wonderful Il Bucaniere). 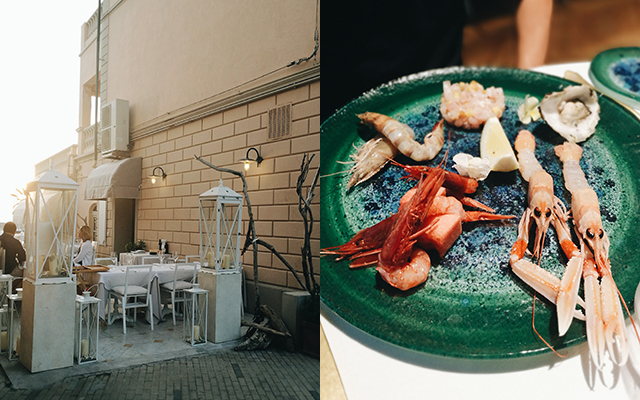 But even with big shoes to fill, the port-side terrace and intimate dining room under the helm of Teseo Geri and Fabrizio Marino exudes a relaxed and confident vibe, like they’ve been doing this forever (they sort of have). The menu is a celebration of trips and their influences, which are written next to the dishes — a plate of crudo (raw seafood, particularly prawns) inspired by Puglia, roasted pieces of octopus reminiscent of Greece, a delicate bouillabaisse with a pot of mixed pieces of fish from Corsica, which you can see from the view of the window of the restaurant on a clear day. 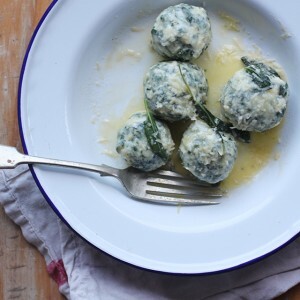 Expect a bit of San Miniato by the sea once autumn arrives and San Miniato’s famous white truffles come into season. It’s good value for money considering the excellent quality of the seafood — for two people eating two courses each and sharing dessert and a bottle of wine, we spent 120 euro. It’s an area that’s worth exploring further and for longer but it’s also just doable for a weekend getaway. The prospect of heading back to the heat of Florence after this seaside escape made us all feel a little flat so we made one more stop at the esplanade of the Marina di Cecina, where Marco’s family beach house is, to pop into our favourite juice bar, Mamasita, for a quick snack and refreshing cold drink or gelato. They make excellent fresh juices, smoothies (and very good value at 4 euro for a smoothie) and gelato with tropical flavours — our daughter requests a smoothie every time we visit. 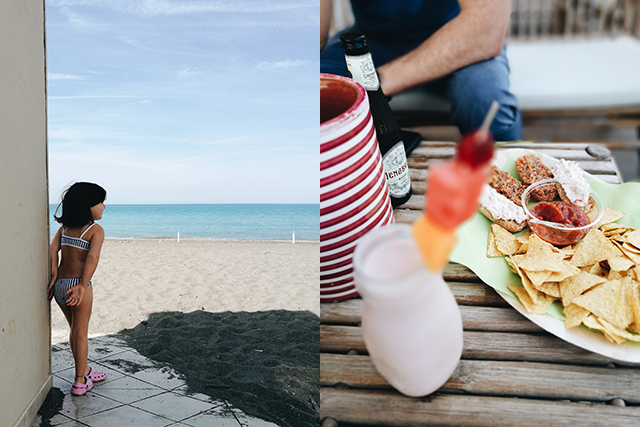 For a meal on the beach, we head to El Faro, the oldest restaurant on the Marina, they claim. 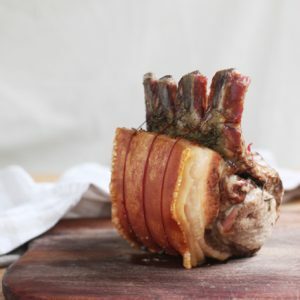 They have a more classic dining room and then what they call a “street food” section, outdoors or right on the sand, which is where we always head (it’s simpler ‘beach’ fare and slightly cheaper) — the fritto misto (fried seafood) is great and the wine list is surprisingly full of interesting, natural choices. I’ve been following you for years, partly out of my interest in the Tuscan coast–and I finally made it there this year! Your posts were so helpful. We stayed in Massa Marittima, Orbetello, Pitigliano, and Vetulonia. The only disappointing part was not eating at I Pescatori in Orbetello–perhaps they are not open all nights in May? A highlight was Il Baciarino (still dreaming of that fish feast). Thank you for sharing your little corner of the world–it is truly a special place. Thank you, Emiko, for being you. I have loved you for years, and its been so wonderful watching your journey unfold. 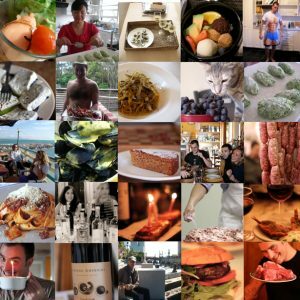 Wonderful write-up Emiko! There is just something so magical about this area of Italy that to me, never gets old. 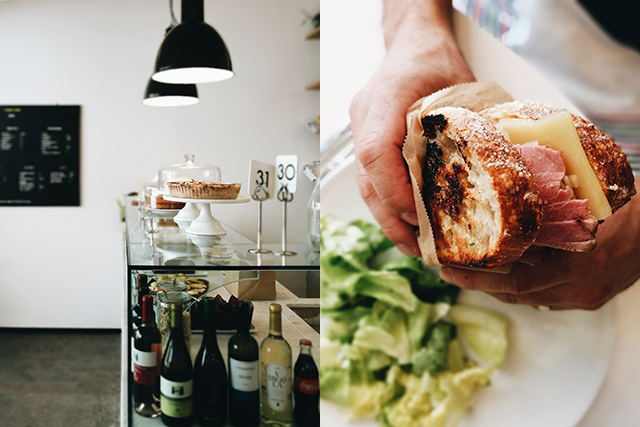 I can’t wait to try that spot in Livorno! Ps. I am working on a post about our recent Tuscan seaside getaways and I will definitely link to this as an additional resource! I love it too! I’d love to add that link to this as well, let me know! Hi Emiko, thanks for describing my province in such an emotional way, it is a little treasure here in Tuscany!